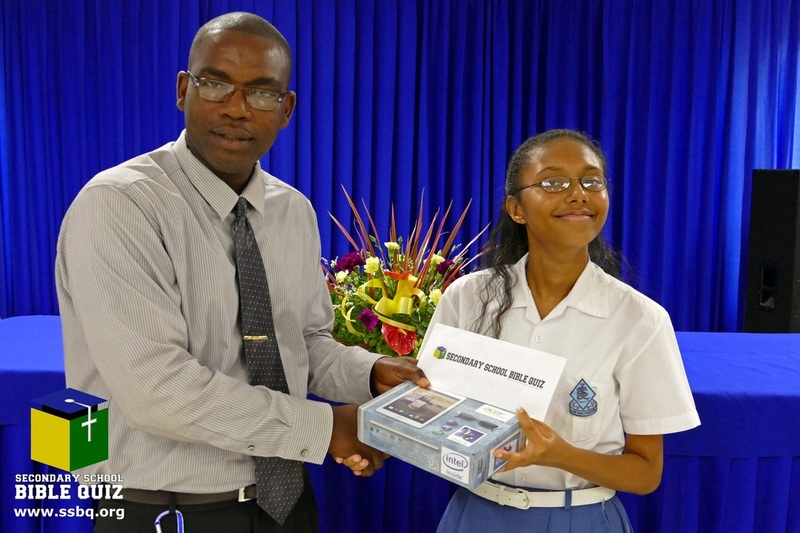 Alexandria Bacchus of St. Joseph's Convent, Kingstown, receives her prize from Rohan Hector. 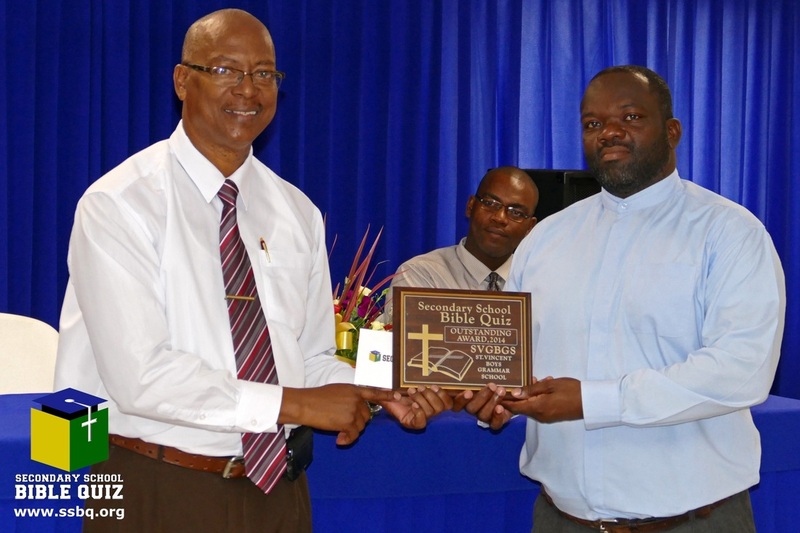 St. Vincent Grammar School headmaster, Curtis King, receives award presented by Joel H. Jack. 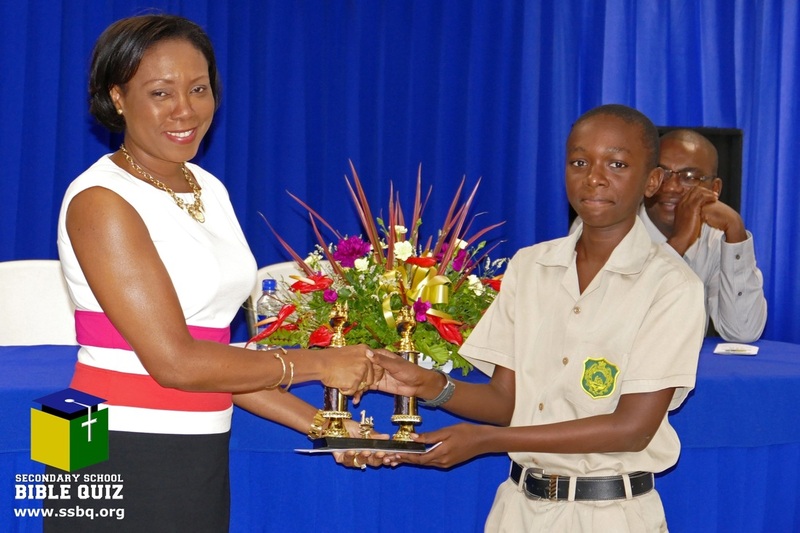 Luke Mandeville of St. Vincent Grammar School, receives his award from Monique Mills. Awarded to the Form 1 student with the most correct submissions for the year. Awarded to the student with the most correct submissions during the year. Awarded to the school that has the most correct submissions for the year. Awarded to the eligible graduating student with the best CSEC results.